Americans, watch your sugar intake. That’s one key takeaway from the U.S. government’s new dietary guidelines, which for the first time recommend a clear limit on added sugar of no more than 10 percent of daily calories. 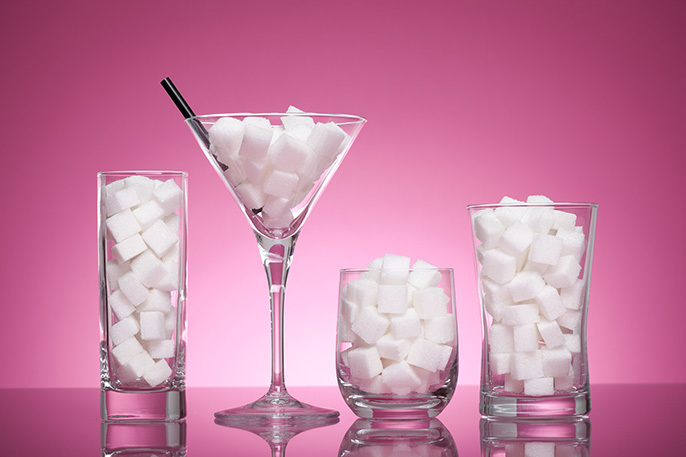 For many people, a single sugary soda per day could put you over the limit. The Dietary Guidelines for Americans, updated every five years based on the latest advances in nutritional science, serve as a basis for federal nutrition policy and help set the tone for how Americans should eat. The 2015-2020 guidelines, published last week, recommend a “healthy eating pattern” with limited added sugar and saturated fat, less salt, and more fruits, vegetables and whole grains. Four University of California experts weigh in on what consumers should know about the new guidelines. Stanhope is an associate research nutritional biologist at UC Davis and a scientist for the SugarScience research and education initiative. Her work focuses on investigating the effects of sugar consumption on the development of metabolic disease. Schmidt is a professor of health policy, lead investigator on the UCSF-led SugarScience research and education initiative, and serves on multiple subcommittees for the UC Global Food Initiative. Her research helped inspire UCSF’s Healthy Beverage Initiative, which phases out the sale of sugar-sweetened beverages at UCSF. Falbe is a postdoctoral researcher in public health nutrition at UC Berkeley. She has conducted research on Berkeley’s first-in-nation soda tax. Ritchie directs UC ANR’s Nutrition Policy Institute and serves on multiple subcommittees for the UC Global Food Initiative. Her work focuses on nutrition policy research, including efforts to promote drinking water as a key obesity-prevention strategy such as seeking to add an icon for water on the U.S. Department of Agriculture’s MyPlate food guide. Fig. 1: What does sugar actually do to your body? Fig. 1: How much sugar are you really eating? Fig. 1: Is sugar in fruit different than sugar in soda?